Does not like to spend money on church buildings. Prefer meeting as “house churches” or in temporary structures such as stores and warehouses. A flexible approach to theology whereby individual differences in belief and morality are accepted within reason. A more holistic approach to the role of the church in society. This can mean anything from greater emphasis on fellowship in the structure of the group to a higher degree of emphasis on social action, community building or Christian outreach. Support women in all levels of ministry including women pastors. Prefer theology narrative instead of systematic. Following Jesus is living the right way, not believing in the right things. Eschatology: Building the kingdom of God on earth. 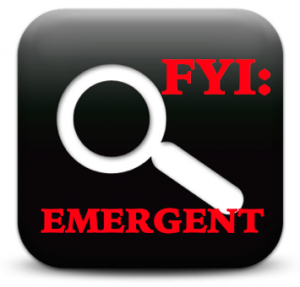 There are the well-known emergent leaders (some are now deceased): Brian McLaren, Phyllis Tickle, Marcus Borg, Dallas Willard, Richard Foster, Leonard Sweet, Bob Buford, Brennon Manning, Eugene Peterson, Donald Miller, Rob Bell, Erwin McManus, Tony Jones, Doug Pagitt, Jim Wallis, Tony Campolo, Richard Rhor, Andy Stanley, John Ortberg, Frank Viola, Laurie Beth Jones, Ruth Haley Barton, Rachel Held Evans, Shane Claiborn, Dan Kimball, Shane Hipps, Spencer Burke, Peter Rollins, Steve Chalke, Nadia Bolz-Weber, Jay Bakker, Jen & Brandon Hatmaker and many others. Then there is the next generation; the up-and-coming rookies who now are the prolific young voices at leadership conferences (like Catalyst and many others), that you can’t easily research because they don’t have anything questionable yet attached to their bios. But make no mistake: The leaders of old have not gone away, nor has the movement died. Instead it is shifting into a new or neo mode, making the Neo-Emergent movement even more appealing to a whole new audience of young Christians. It’s the same old “Hath God said” lie repackaged into a slick media marketing formula with programs helping many pastors “plug and play” with sermon topics and programs in their own churches to perpetuate the movement. Most don’t even know they’re doing it. The Leadership Network has played a pivotal role in the Emerging Church movement. So have Roman Catholic mystics. 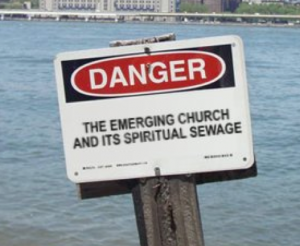 Beware of Meister Eckhart, Ignatius of Loyola, St. John of the Cross, Teresa of Avila, Thomas Merton, Thomas Keating, Henri Nouwen, William Meninger and Basil Pennington and New Ager Ken Wilbur.